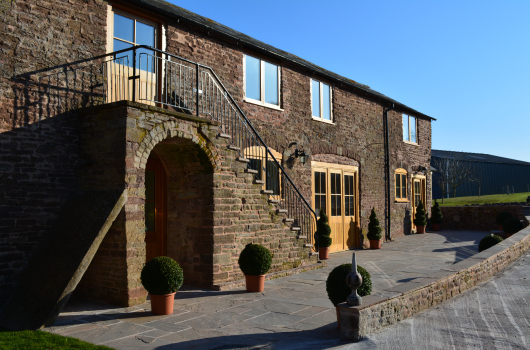 Monkhall Holiday Cottages offer ideal accommodation for luxury self-catering family or small group holidays based in Herefordshire. Our holiday cottages are perfectly located just four miles outside Hereford, and within easy reach of Hay-on-Wye, Ross-on-Wye and other attractions throughout Herefordshire and the neigbouring West Midlands counties of Shropshire to the north, Worcestershire to the east, Gloucestershire to the south-east, as well as the Welsh counties of Gwent to the south-west and Powys to the west. 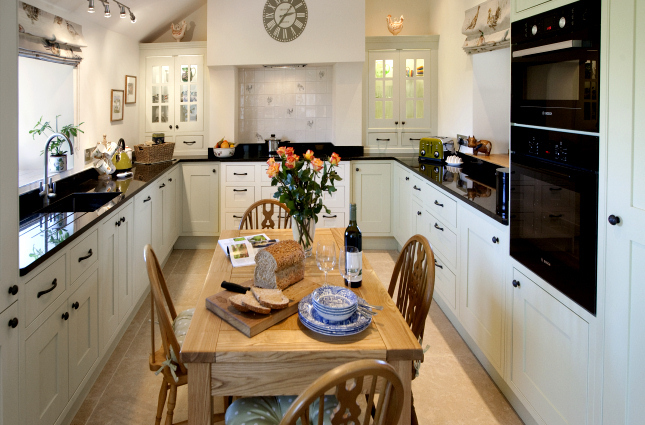 Sumptuous self-catering accommodation with under-floor heating, en-suite bathrooms, oak beams and staircases, limestone flooring, and kitchens built and fitted by local craftsmen to the very highest standards. 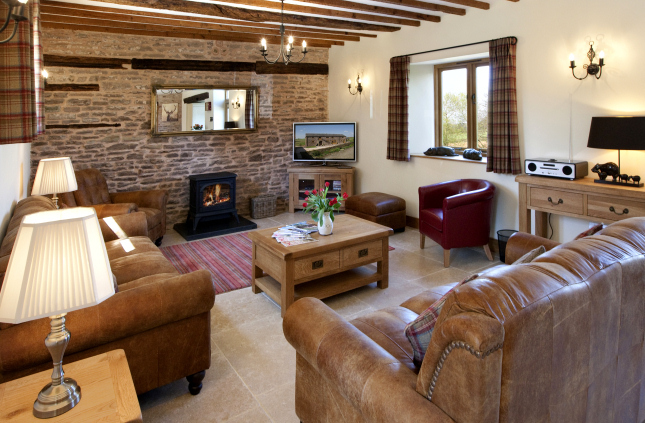 Whilst retaining much of its former character, The Granary has been lovingly converted from an original corn store to create a luxury self-catering holiday cottage. 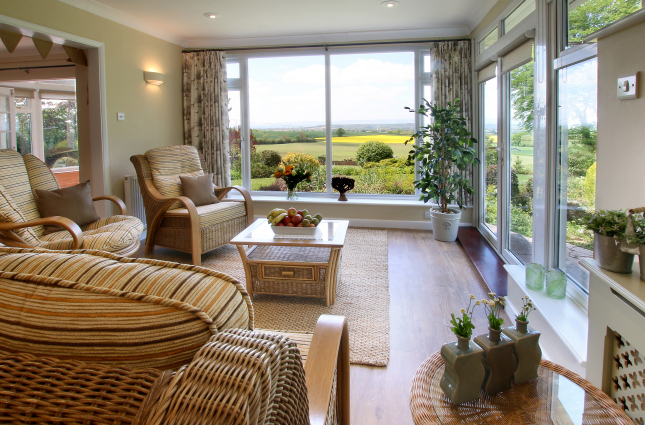 A spacious and peaceful hillside retreat, with stunning views over rolling Herefordshire countryside, White Lodge features bespoke hand-made furniture, an open-plan layout and modern conveniences, including ultra-fast broadband and smart TV. Monkhall Court is part of The Duchy of Cornwall Estate, situated just four miles south of Hereford. 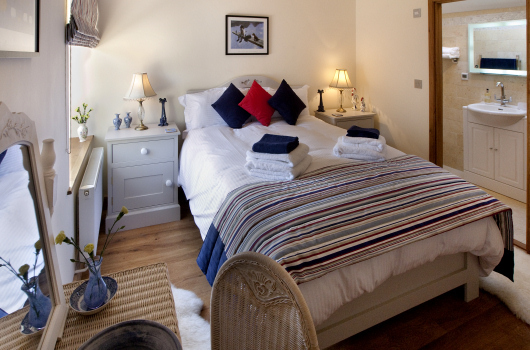 The accommodation is sumptuous throughout all three properties, with under-floor heating, en-suite bathrooms, oak beams and staircases, limestone flooring and kitchens built and fitted by local craftsmen to the very highest standards. The views from the cottages are stunning with the Black Mountains to the west and the Sugar Loaf to the south, yet the main A49 is less than two miles away. The cathedral city of Hereford is only a ten-minute drive away, and Abergavenny, Hay-on-Wye and Ross-on-Wye are all easily accessible. 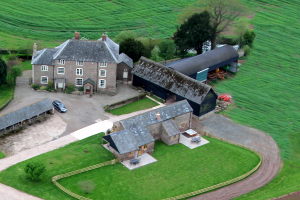 Our farmland provides many footpaths for the enthusiastic walker, and The Stables even has a hot tub ready to ease those aching muscles. For those who do not wish to venture too far, there is a duck pond less than a stone’s throw away. If it is peace and tranquility you seek, you will not be disappointed, and those who are concerned about the environment will be assured by the knowledge that all heating is eco-generated by our wood-chip boiler, using fallen timber from the farm.